Our dedicated, purpose built bioanalytical laboratories incorporate advanced liquid chromatography and Sciex tandem mass spectrometry instrumentation and software. 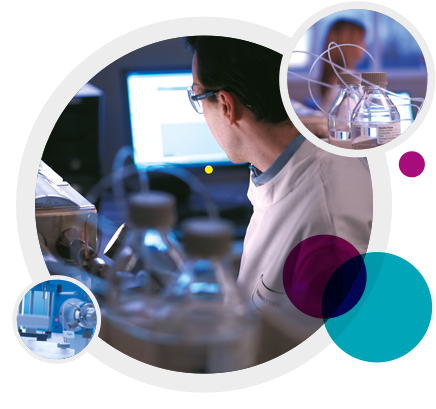 Our experienced team offers expert bioanalysis capabilities across a variety of matrices. Headed by a bioanalyst’ with over 20 years’ experience and trained in the pharmaceutical industry, we offer a dedicated non-clinical service analysing samples from projects performed in our own facilities and elsewhere. This specialist expertise ensures a quality analytical service is performed according to current best practice standards and it includes requirements for method validation and incurred sample reanalysis. Our bioanalysis team has been at the forefront of developing microsampling techniques; the benefits of which are only now receiving the industry recognition they deserve. We were early investigators in the development and application of dried blood spot methodology and are now involved in industry initiatives to maximise the utility of capillary microsampling. World-leading expertise in regulatory and investigative reproduction studies with an enviable heritage spanning 35 years.